We’re excited to announce that The One Foundation is Gok Wan’s Charity of the Month for August. Endorsing The One Foundation on his website, Gok describes One as a “fabulous charity that sells bottled water in the UK and Ireland and gives 100% of the profit to help fund clean water projects in the world’s poorest communities”. Read the full feature on Gok’s website. 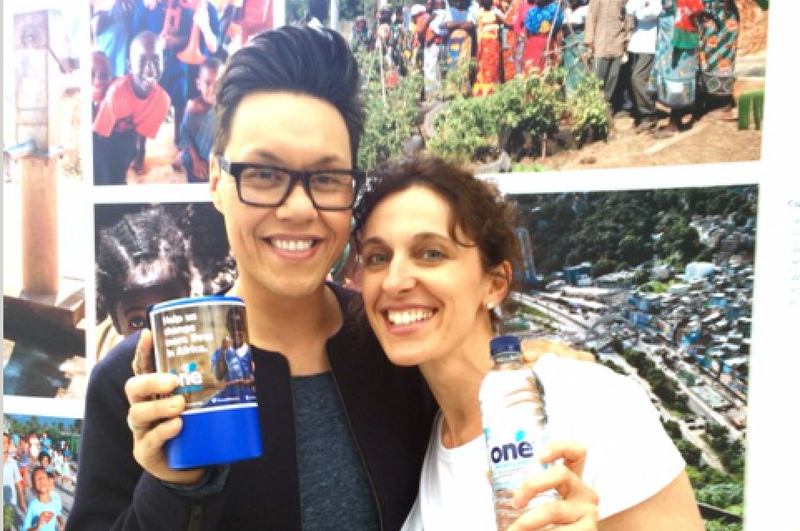 One’s Nikki and Gok spread the word about The One Foundation at the British Airways Explore and Discover Day in June.